I think owning a full fledge green landscape is just like a blessing for the ones who love flowers and greenery and always want to be around them. 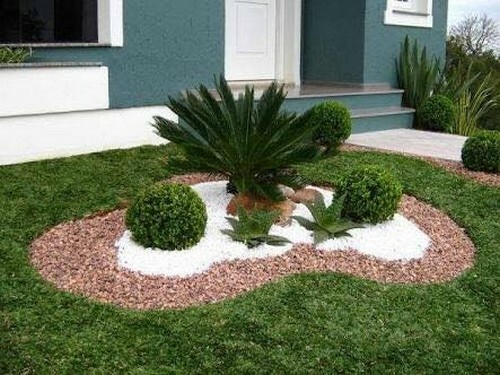 If you have got a garden for you and you just want to decorate it without spending some larger amounts. 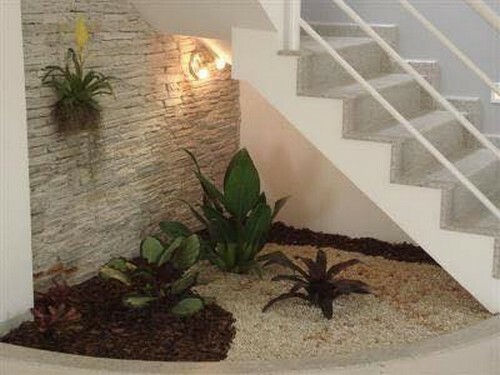 I think the stones and rocks are going to be the best option at your disposal. 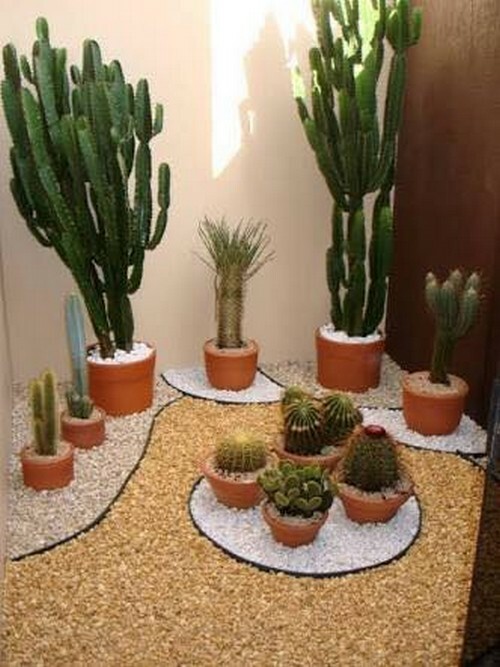 You can grab them from anywhere, they are just everywhere, just see your capacity how many you need for your garden. 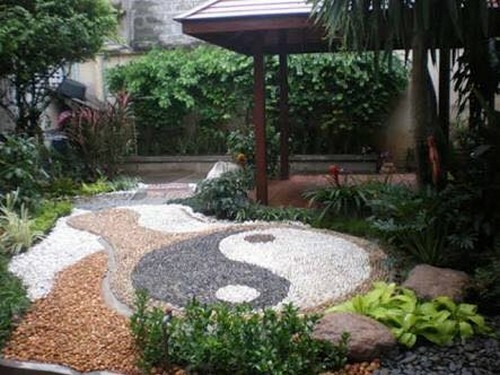 There a number of ways in which stones can be used for decoration in the gardens. 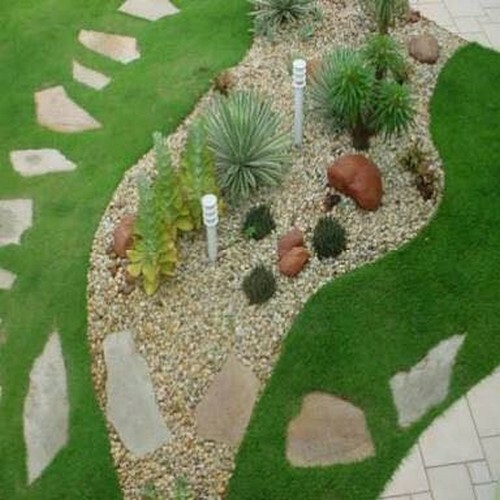 This hazy outdoor garden made with all stones that were painted earlier and were arranged in a certain pattern. We can clearly see that the pattern set by stones is just so fabulous optics wise. And above all it didn’t take any large finances except some minor charges of staining the stones. If you haven’t got any specific patterns and plans in your wish list, just grab some random stones sized identically and scatter them all around. 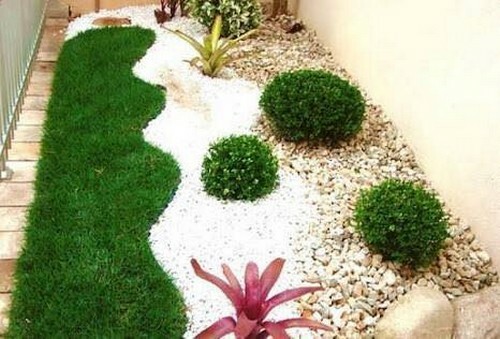 But you must maintain a symmetry that means that the stones should be scattered in the specified area only. The same approach is being applied here again, but the only difference in this and last project is the mere size of the stones. 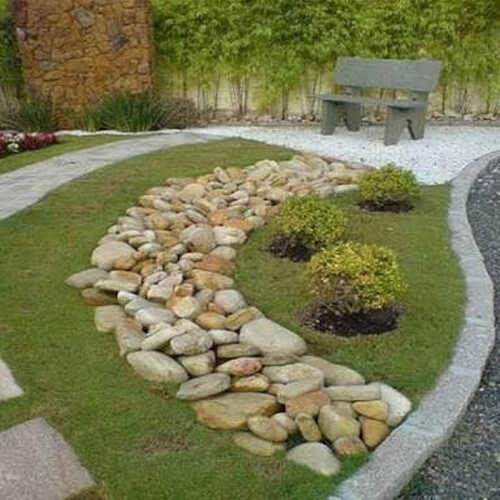 This much larger stones would be perfect in some relatively larger green landscapes where you have got some excessive area to cover up with stones. 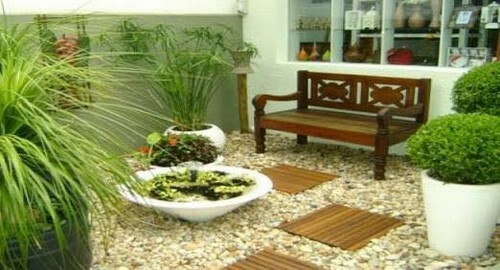 And this is a small portion inside a lavishly decorated house turned into a garden. We basically left this area without being covered with concrete and the muddy area is covered with some tiny crushed and stained stones along with a bunch of green plants that are just so good optic wise. This whole garden plan is mere a decorative addition as we can see no proper annuals or flowery plants inside the garden. Some of them carry tiny flowers that are just symbolic. 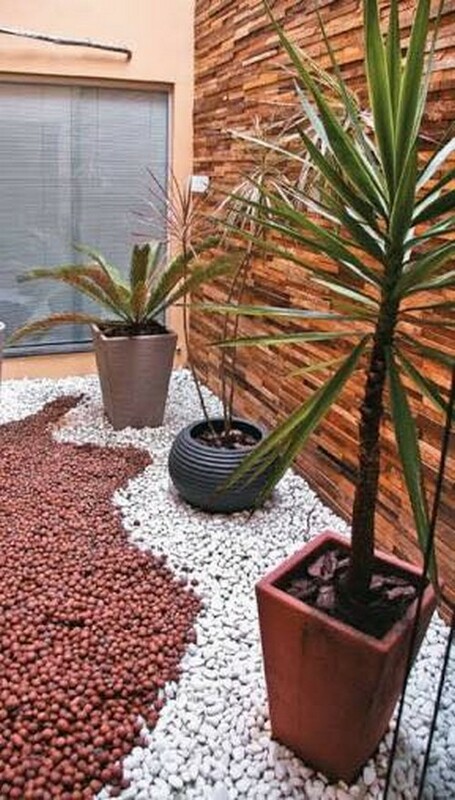 While the area is mainly covered again with some tiny crushed stones that were stained according to a certain set pattern. 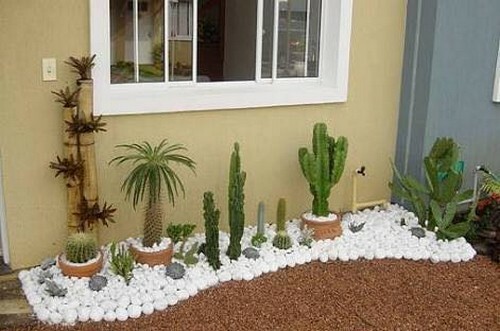 Whenever we have to bring some decoration plans and implement them in the garden, there is a lot of market oriented stuff that can be purchased and installed in the garden. 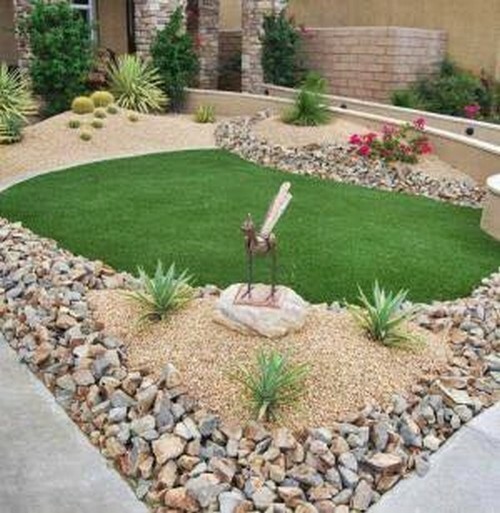 But if you want to do all this for free then certainly these crushed stones are the best option so far. 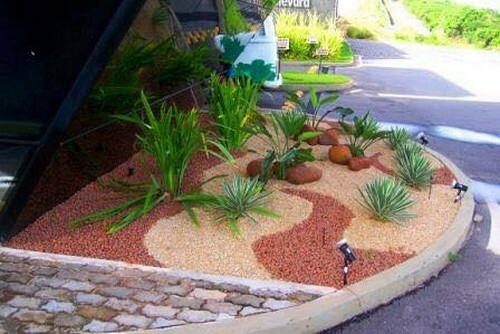 Just for the inspiration this enclosed garden was made using just a couple of plants with green leaves. While the rest of the area is roughly covered with same crushed stones. To stain them white you can just use regular lime stone stain, that is the cheapest option I think. 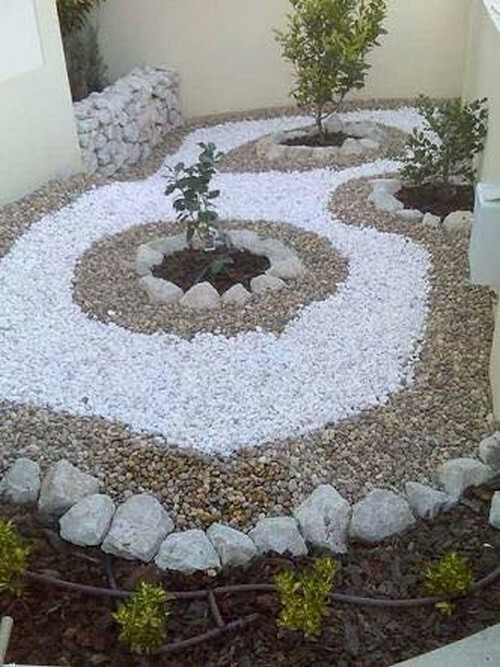 You can see all the garden décor projects were executed using the raw crushed and multi sized stones that can be gathered from anywhere just free of cost. It would just take some minor expenses of staining and nothing else. I don’t think there might be a cheaper resource than these crushed stones and rocks.